Force Friday, the massive marketing push of all the new Star Wars: The Force Awakens merchandise, is mere hours away—but the flood gates have already opened. Tons of new toys have leaked, there was a big official unboxing video, but this is by far the coolest thing yet. Someone on Twitter has found talking masks for two of the film’s villains - Kylo Ren, played by Adam Driver, and Captain Phasma, played by Gwendoline Christie. “Talking” is the key word there, as you can hear each of those actors deliver lines that, we can only assume, are from the movie. This is unbelievably cool but a few observations and thoughts. First, those voices don’t sound particularly messed with. You can tell it’s those actors, which is nice. Second, I’m still stunned that Luke is “the last Jedi.” Assuming it’s Luke, of course. Didn’t we all think he was going to try and train more of them? Why didn’t he? 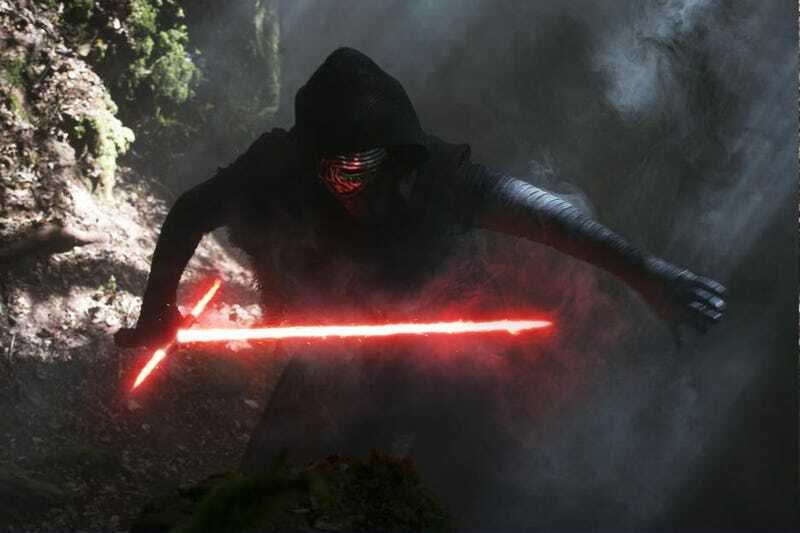 IGN has also posted some more Kylo Ren lines. A few of these are the same as above, but one in particular stand out. Listen. Speaking of Finn, there’s more! IGN has also found a Finn (John Boyega) toy that also has some interesting lines, as well as a distinctly American accent, unlike his villainous counterparts. Again, potential spoilers. Anyway, expect way more big reveals soon, as Force Friday is upon us. Star Wars: The Force Awakens open December 18.